The art of Balloon Animals. A handy skill to have. At my cousins' recent 15th birthday party, I watched as my cousins tried to create balloon animals beyond the obvious 'snake'! After about 15 minutes of watching them struggle, I took a balloon, and to the amazement of the group -created a basic dog. It is one of those skills, that you take for granted. But also, seeing the delight and pride on everyones faces when they were able to create their own. It reminded me of the pride I took in my first balloon animal. It was not proportioned well, one of the twists even came undone, but I made it! There are so many great blogs, websites, and youtube videos out there that can help you develop your skills, and here is a link that shows you a basic dog. 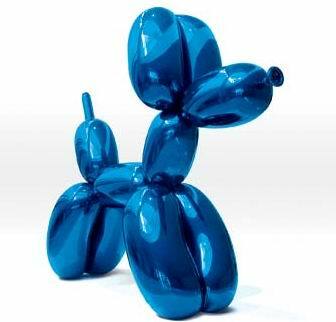 From the dog, by varying the proportions of the nex, ears, body and legs, you can create Giraffes, sausage dogs, poodles, and so many others, and also get used to twisting the balloons with confidence. A balloon pump is a MUST! Don't even bother trying to do it with your breath, until you learn some of the tricks in doing so! PAY IT FORWARD! Teach someone else the skill, and you can experience their joy as they create their first balloon animal! This can be a great activity to teach the kids at the party - it will keep them entertained!